Battler of enemies from the sky teams up with battler of enemies from a galaxy far, far away with this LED Lightsaber Umbrella. 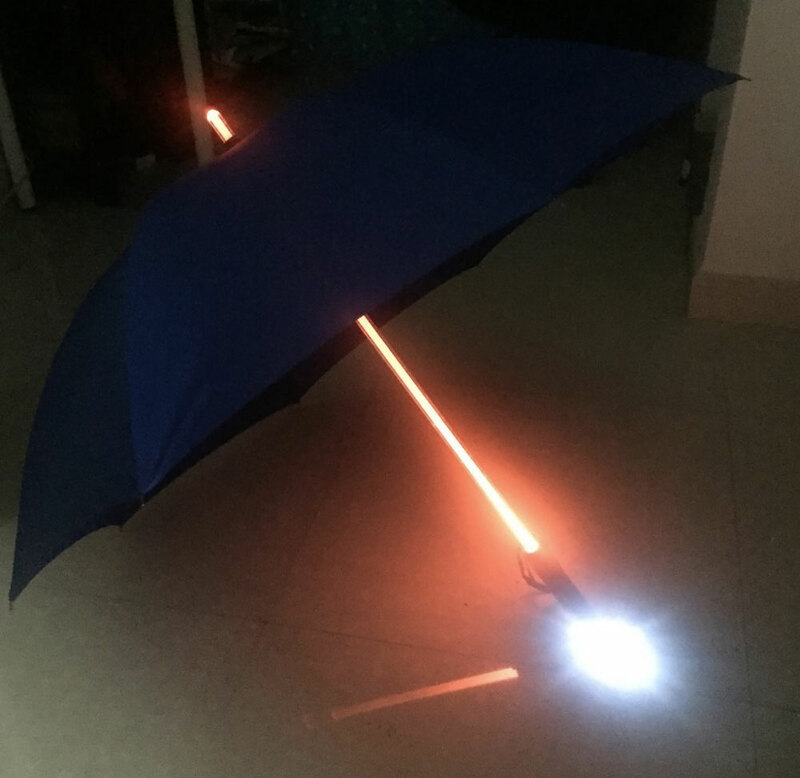 If the Force is with you the umbrella's 25+" blade will light your way through the Dark Side of night and keep you visible to oncoming cars and drunk little punks on hoverboards. 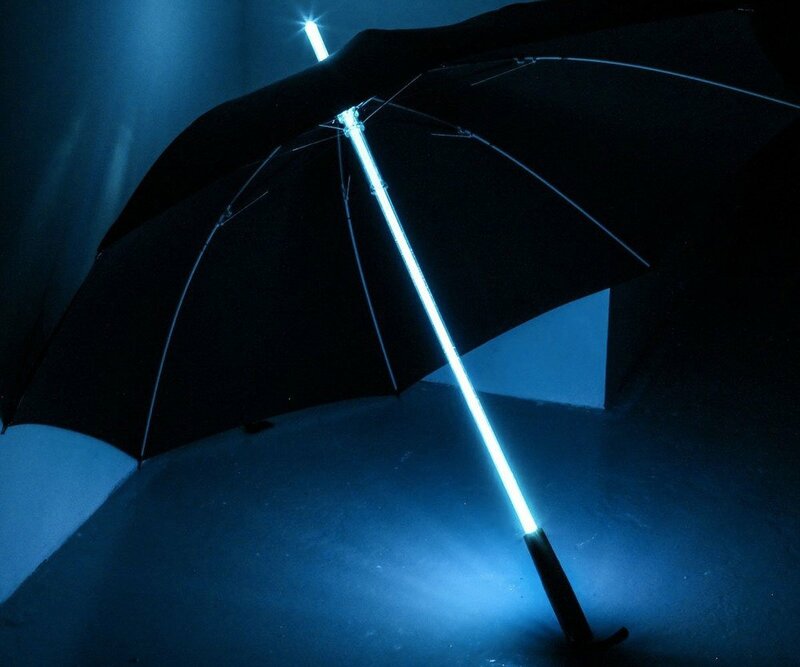 The LED Umbrellas come in 4 different colors, each with a push-button operated shaft powered by 3 x LR44 batteries (included with purchase). 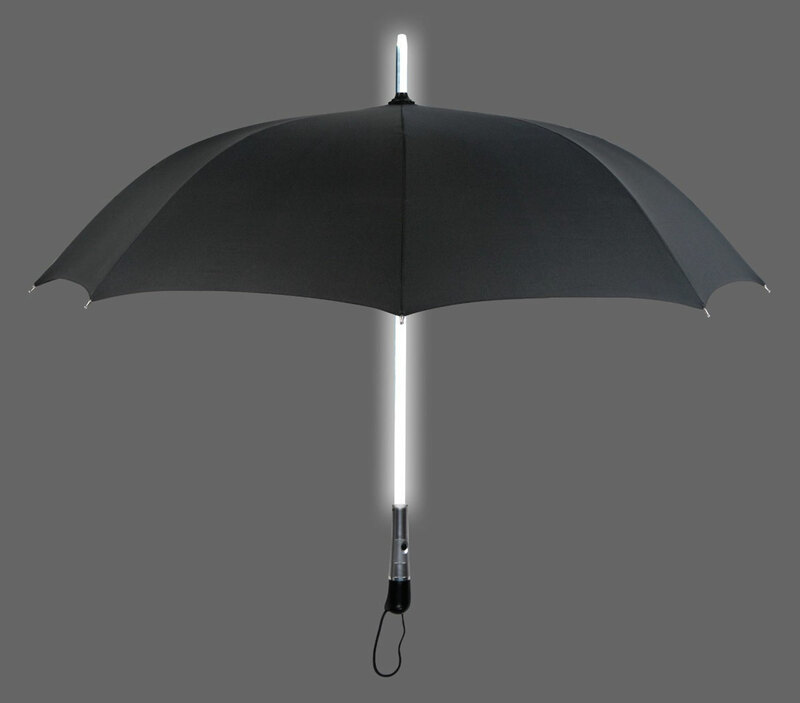 Overall length is 32-1/2", and diameter when open is 41".